Compassion fatigue, depression, and suicide in the veterinary community has been in the news recently, with the stunning loss of internationally renowned animal behaviorist and speaker Dr Sophia Yin, DVM. Because the Veterinary field is first in suicides by profession, with other animal care workers not far behind, we thought this month Dancing Dog Blog would use the time with Dr Apryl Steele to explore what compassion fatigue is, define the symptoms, and offer ways to manage risk at the practice level, in shelters, and in rescue efforts where often individuals are working alone and out of their homes. Dr Jane Shaw, Associate Professor of Veterinary Communications at Colorado State University has a veterinary degree, a PhD in Epidemiology and conducts skills-based communications workshops nationally and internationally at veterinary conferences and symposia. Dr Steele convinced Dr Shaw to join us for this podcast and we are honored to have her with us today. Since she teaches veterinary practices how to set up programs to manage the risk of compassion fatigue, depression, and suicide, what better person to speak to all the questions I and listeners have? What tools and coping skills are available? 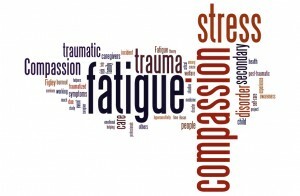 How do you deal with compassion fatigue when you’re in it? How can you recognize potential suicides? How do you cope with euthanasia? How do you keep compassion fatigue away? Full disclosure: The three of us tried to record our session, but had technical trouble and time was up. This interview was recorded with Dr Shaw and Dr Steele separately, then transferred to one podcast. You can contact Dr. Jane Shaw at Veterinary Communication for Professional Excellence You may also want to check out this resource on finding meaning that’s discussed in the podcast. 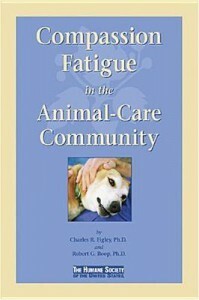 Though tailored for Veterinarians, it could be used as a model for other groups. @dogthusiast Thanks for the mention! @PacosHope You are welcome.I am so grateful for the suggestion from Dr. Apryl that we do this and the partcipation of Dr Jane Shaw who enriched the podcast with her expertise. I am sorry for your pain and understand how easy it can be to allow a mission to take over your entire life.That's why we did the podcast, in hopes of stopping people from taking on more than they can reasonably handle, and use tools to help them establish solid boundaries. In fact, I had a conversation today where someone was telling me basically that every minute a photo doesn't appear on Petfinder is a possible death sentence for one of the dogs. That is not a healthy or reasonable way to approach the work, volunteer or otherwise, but is all too common a mindset in rescue. Wow, what a great conversation, thank you SO much for sharing that, and for answering my question. I truly appreciate the wonderful care I receive from my own vet and try to always share that with not only her, but the owner of her practice. Any chance I get I let him know what a wonderful caring staff he has put together at his practice. I understand the sadness at euthanizing healthy animals for population control, and having euthanized a dog and cat myself, know how difficult that was for me. I'm wondering... and I don't mean to be insensitive and hope it's not taken this way, but is there sadness in euthanizing an aging pet or a pet that is extremely ill and has lost their quality of life? 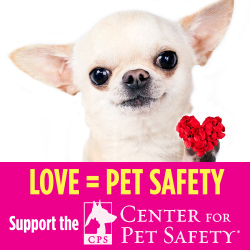 @HeartLikeADog For me there absolutely is a sadness in euthanizing any animal. 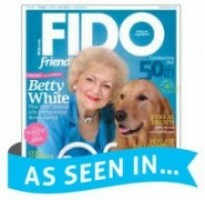 In aging pets with a poor quality of life there is also a sense of relief that the dog or cat is no longer suffering. Strangely, the true peace that is felt immediately following a euthanasia for an animal that had been struggling can be wonderful. I think most of us also feel sadness for the pet parents who are so deeply grieving. Is there any studies comparing the risk of suicide in the two genders. As an old male veternary surgeon, i have the suspicion that the vast number of female vets nowadays has caused this increase in suicide within the profession. @Soren Nielsen Interesting question Dr. Nielsen-and difficult to answer. I found two articles looking at gender and suicide in veterinarians--these were done in Australia and Wales. These reports showed that the majority of suicides were in males (almost 70%). If there is an age relationship this would make more sense because more older veterinarians are male. I don't think we have good data on this at this time, at least not in the United States. If anyone knows of a relevant study please share with us. Previous post: Dog Emotions & The Human-Animal Bond: Are We All Pet Parents Now?